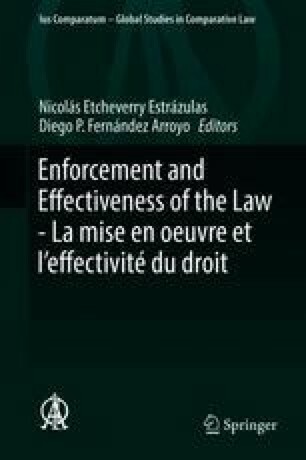 An assessment of the effectiveness of criminal law requires an initial discussion of what this concept means and what challenges the enforcement of criminal laws presents. In general, cost and effectiveness of criminal laws are difficult to ascertain. This holds particularly true for laws criminalizing activities relating to illicit drugs, such as their production, trafficking, possession, and consumption. With expectations of enforcement success often only ambiguously defined, costs insufficiently compiled, and the collateral effects of enforcement more damaging than the public health impact, drug law enforcement appears highly ineffective. This holds true for European countries as well as the United States. The enforcement of drug laws therefore remains of questionable value and may even negatively impact the standing of criminal law in its entirety.